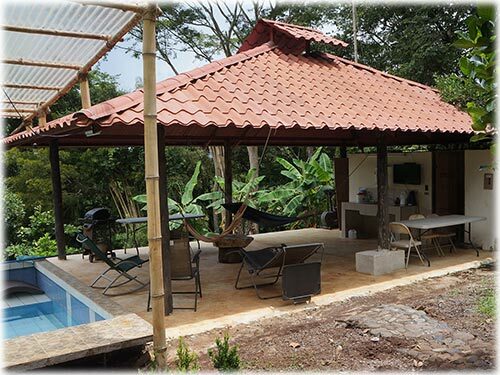 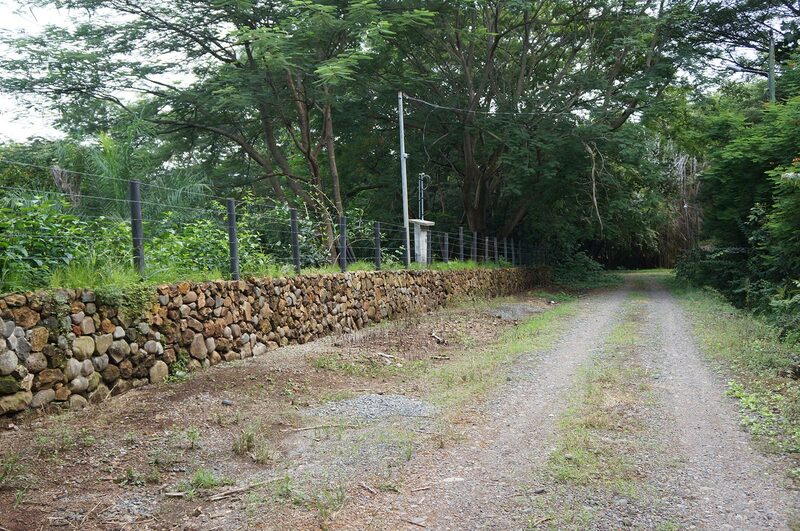 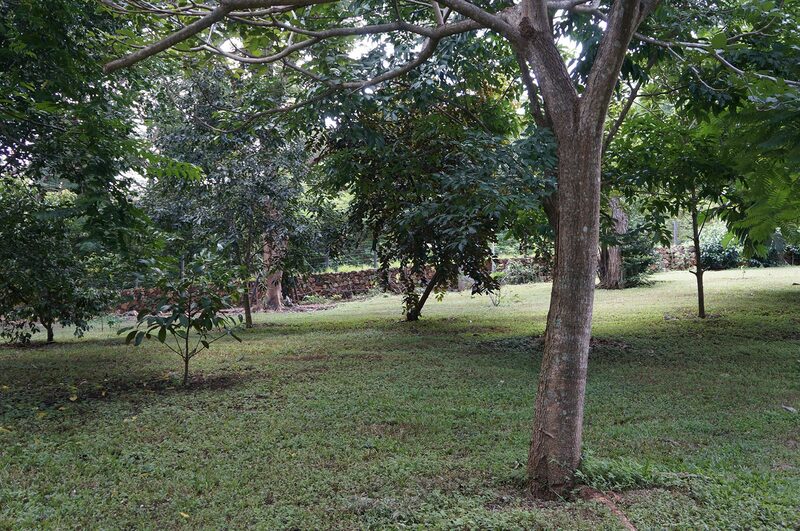 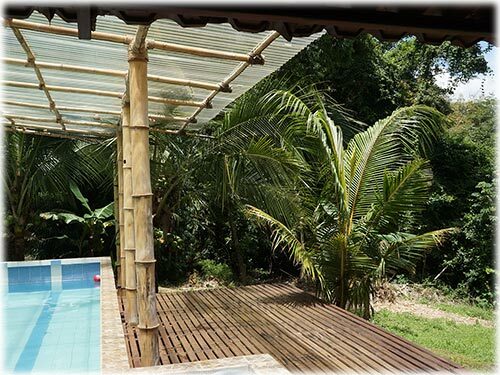 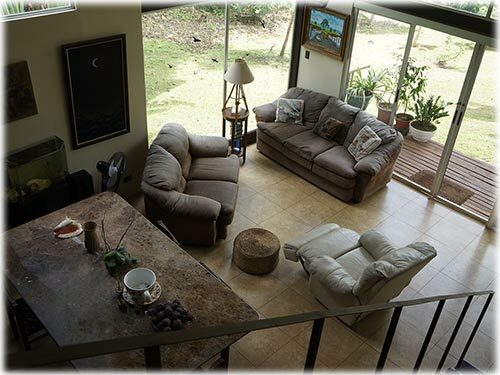 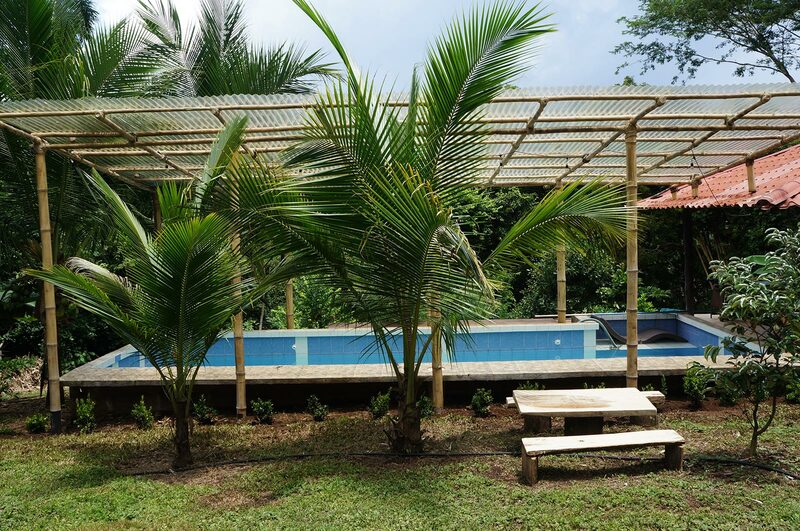 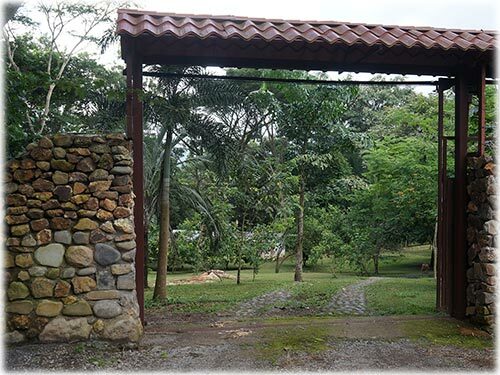 Beautiful small farm or recreational property located in Orotina, the hometown-town of the new airport. 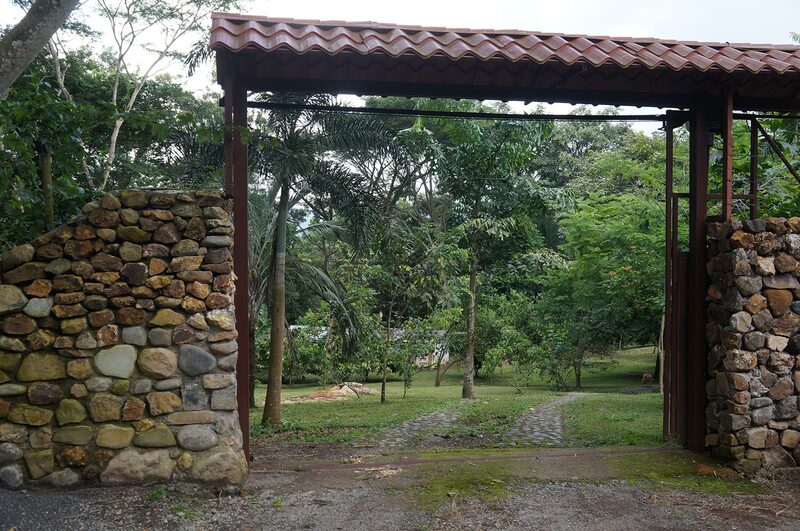 The property is inside a gated community. 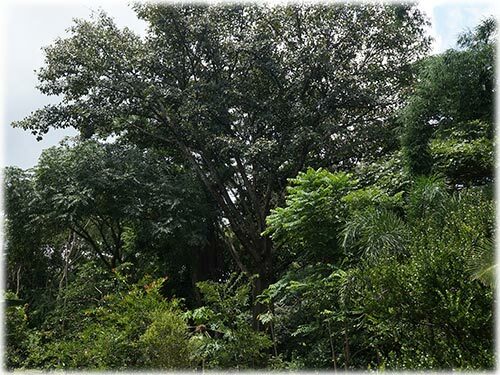 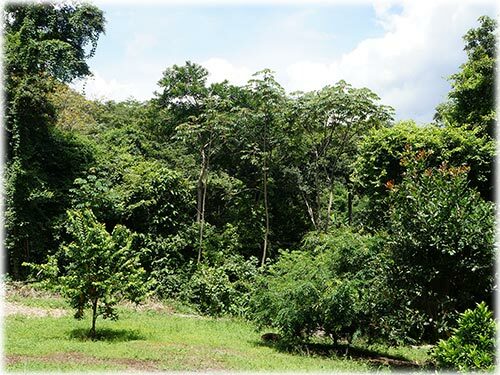 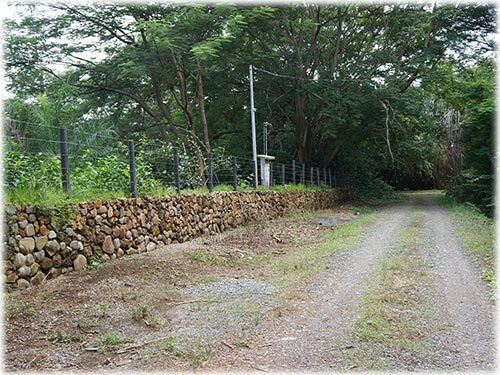 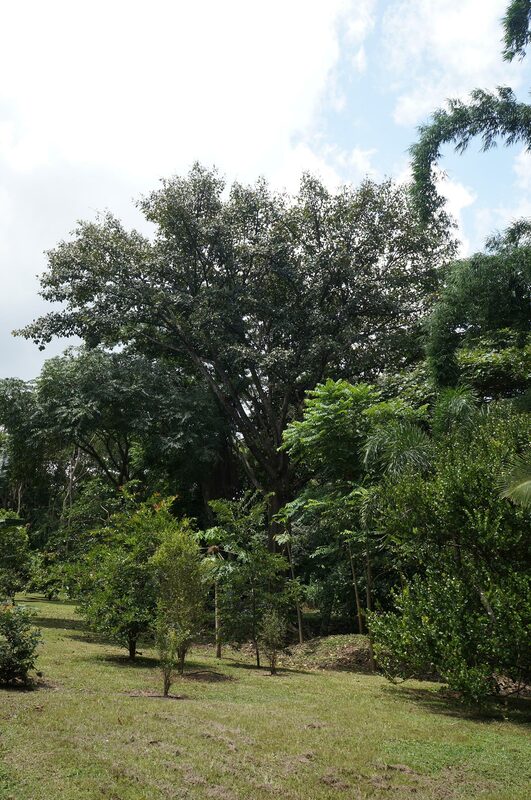 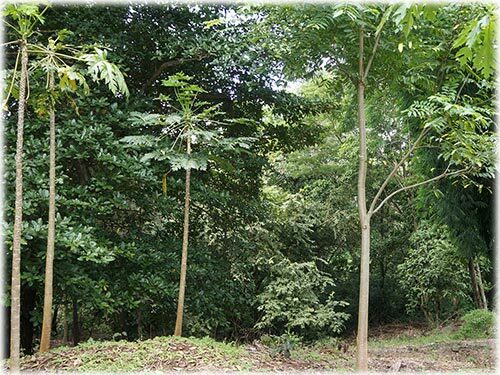 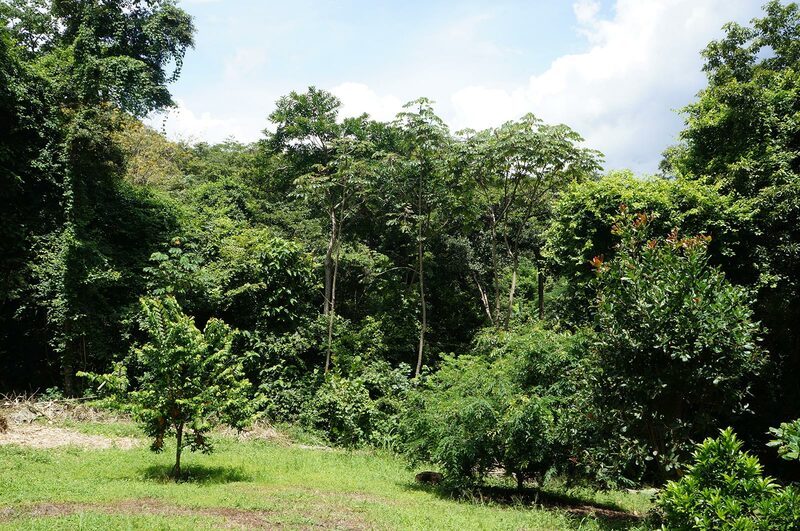 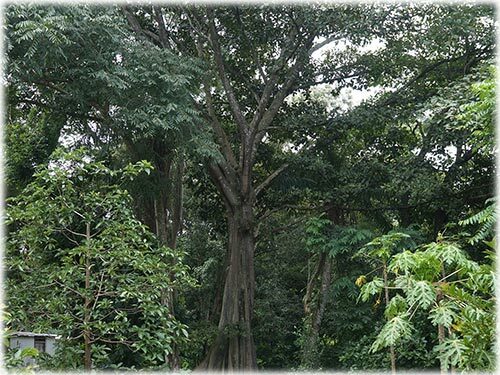 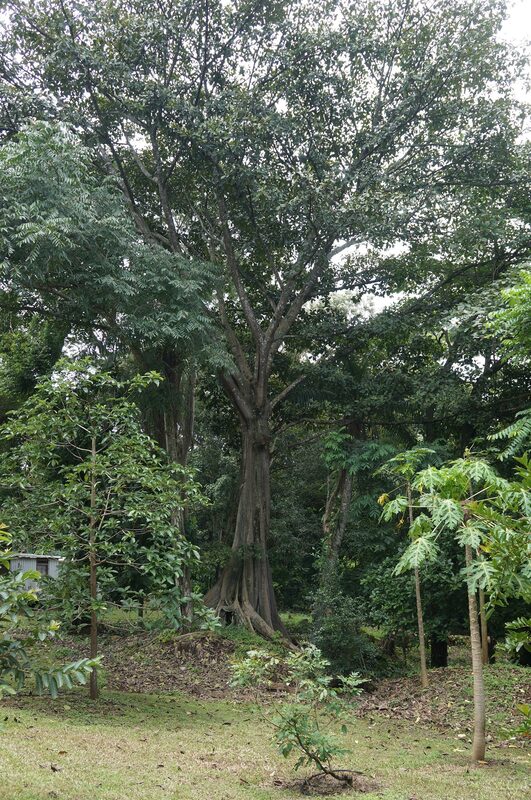 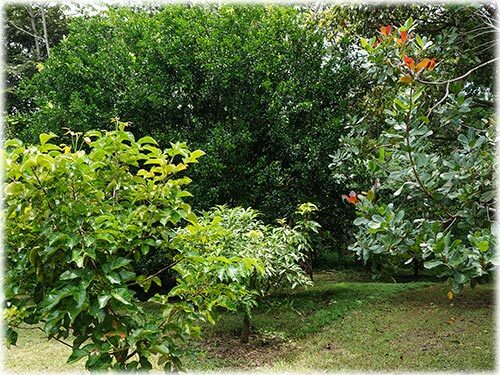 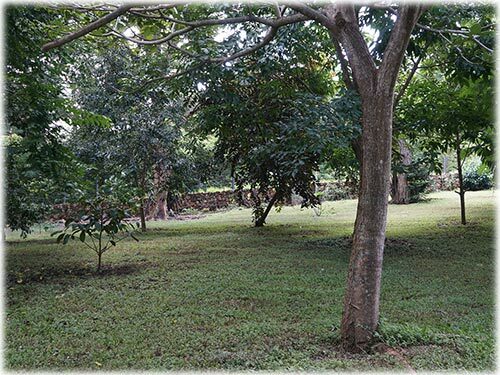 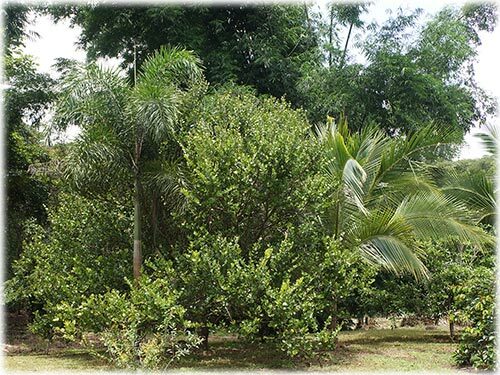 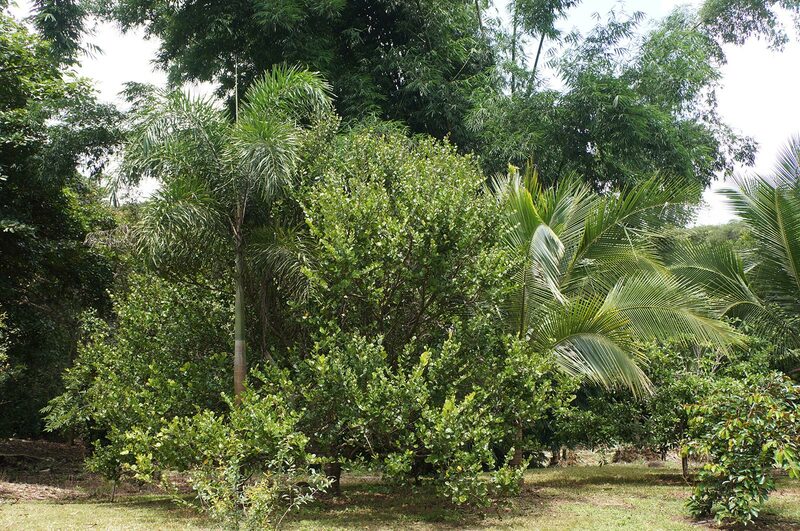 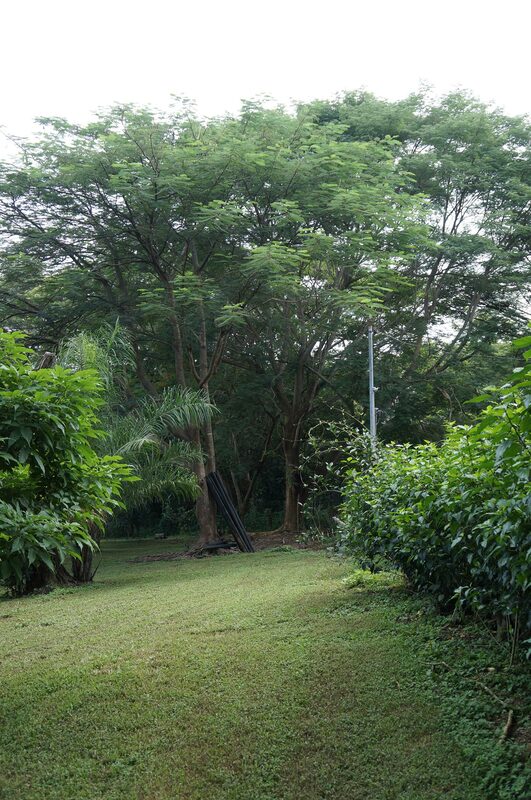 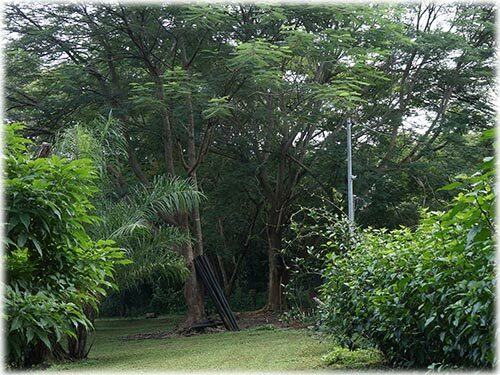 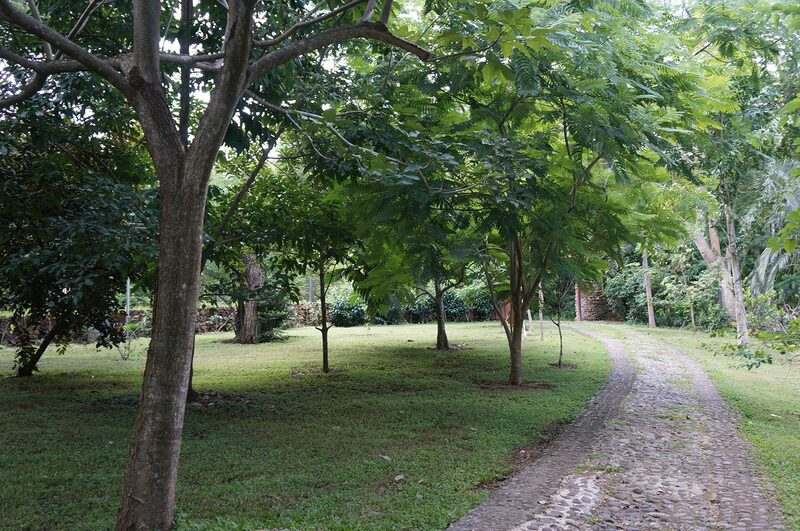 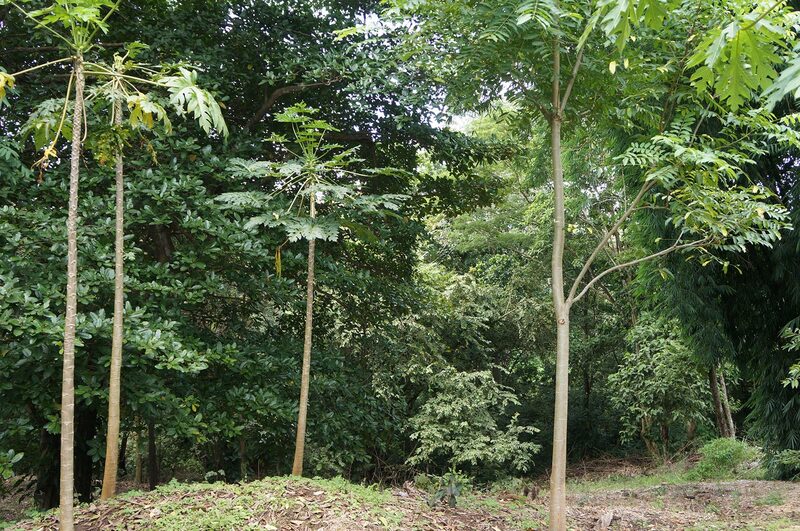 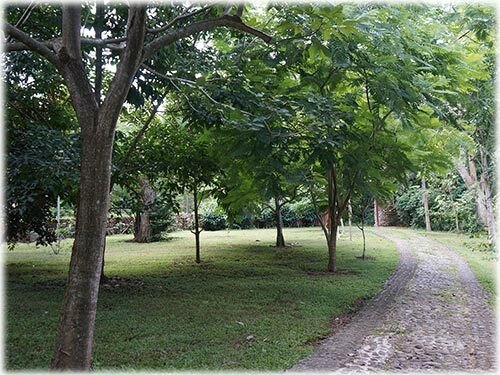 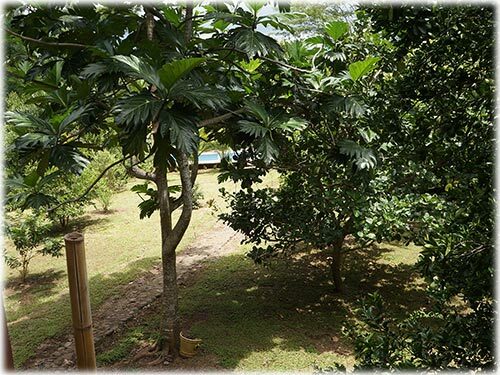 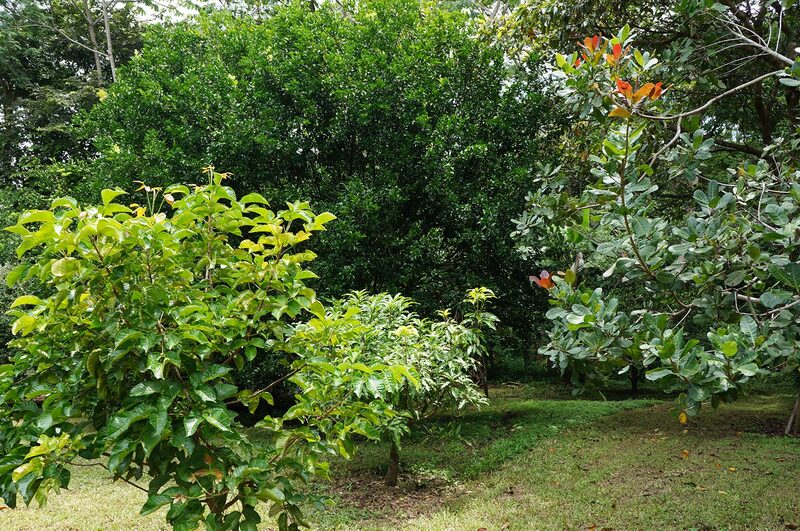 As you enter the driveway you will find all kinds of exotic fruit trees, cas, guava, avocado, tamarindo, cashew, olives, Brazilian berries, mamones, oranges, tangerine, sweet lemon, lime, and other beautiful particular plants and trees. 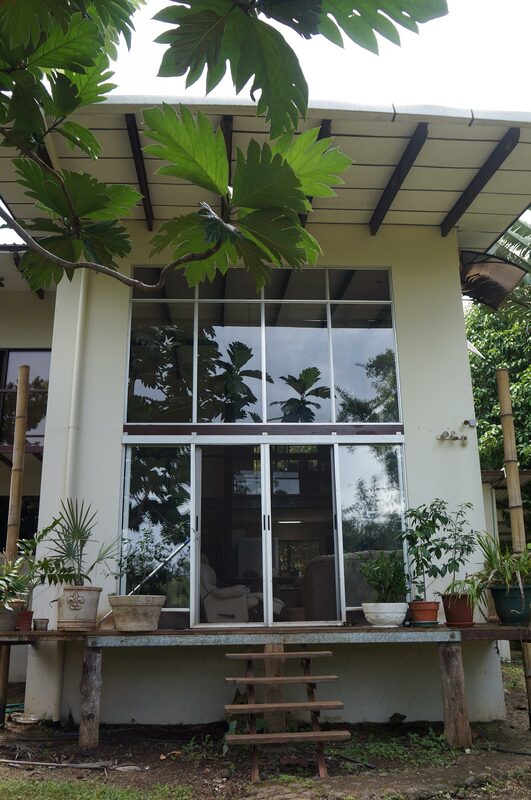 There is a two-level house inside the property. 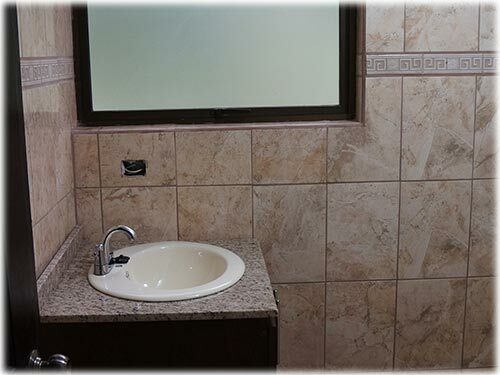 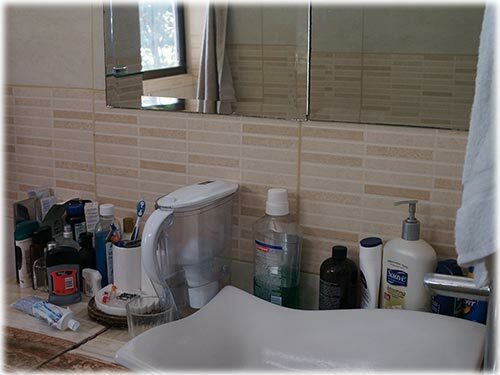 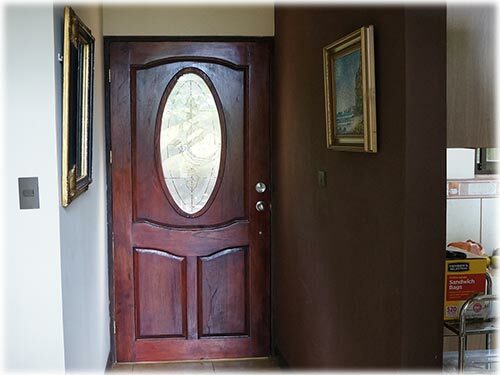 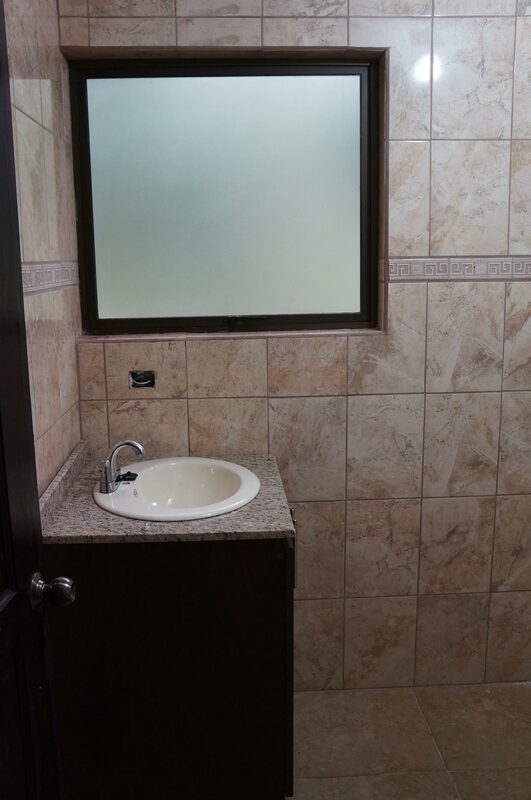 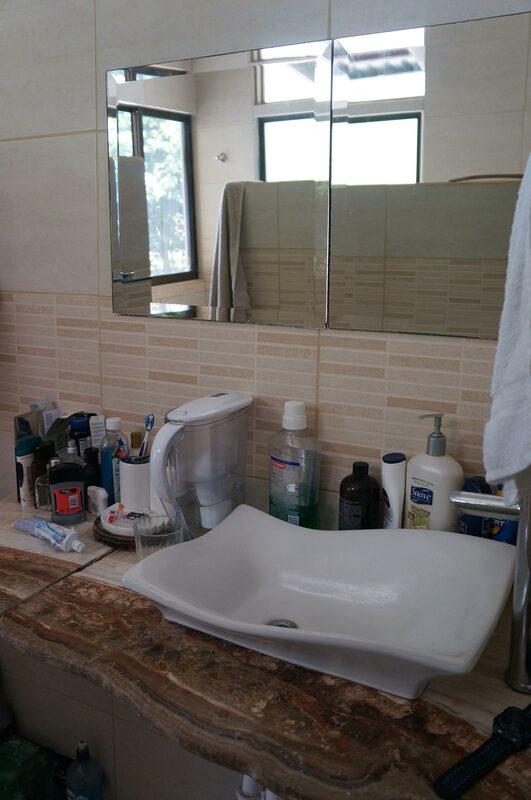 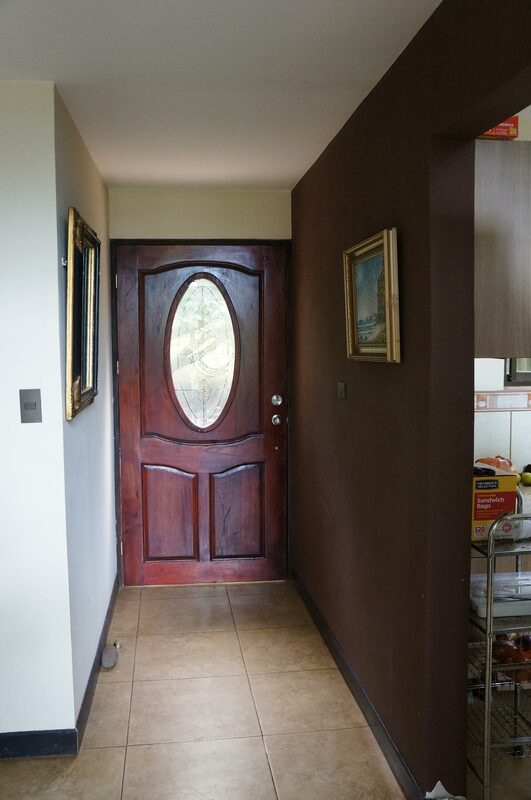 As you enter the house there is a hallway and there are two bedrooms separated by a full bathroom. 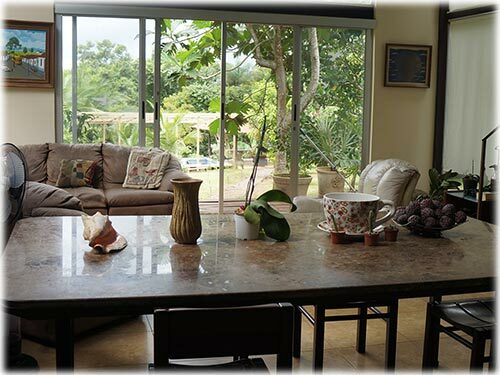 Following you will find the dining room and living room with high ceilings that provide the sense of space to the house. 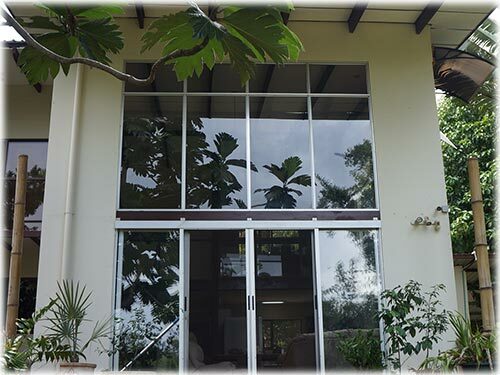 There are some glass doors and windows all around that offer a wonderful view of the lush gardens, the pool, and the social areas. 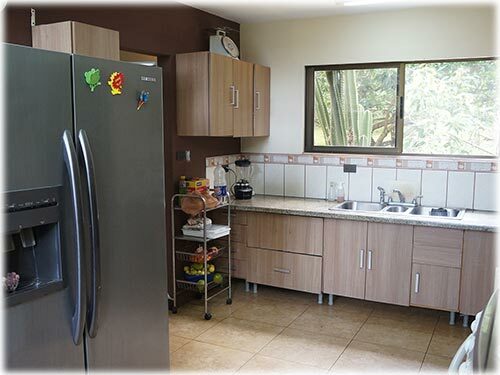 There is an open concept kitchen that is integrated with the social area. 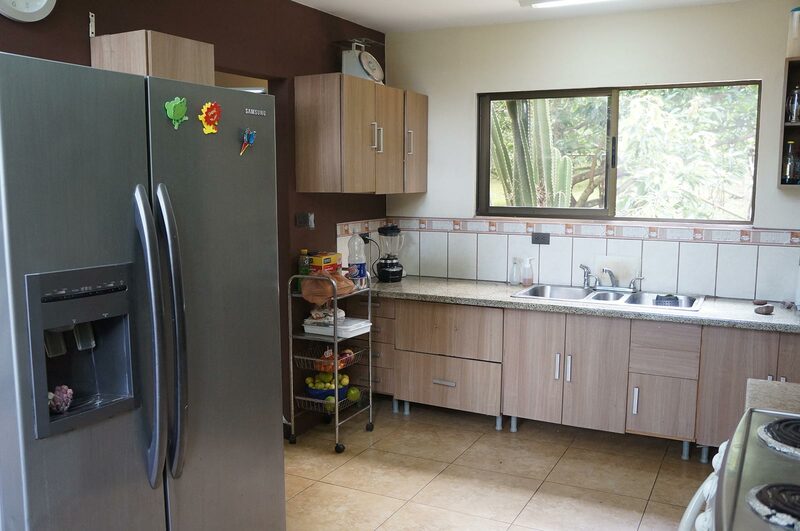 On the right-hand side of the kitchen, you will find the laundry area. 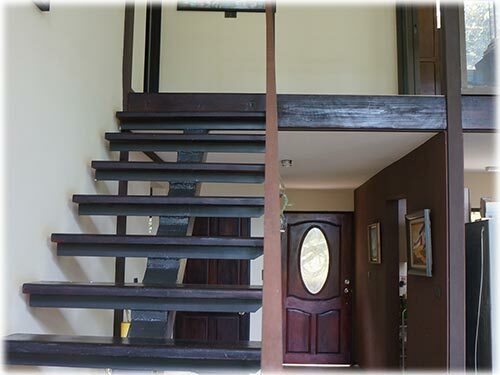 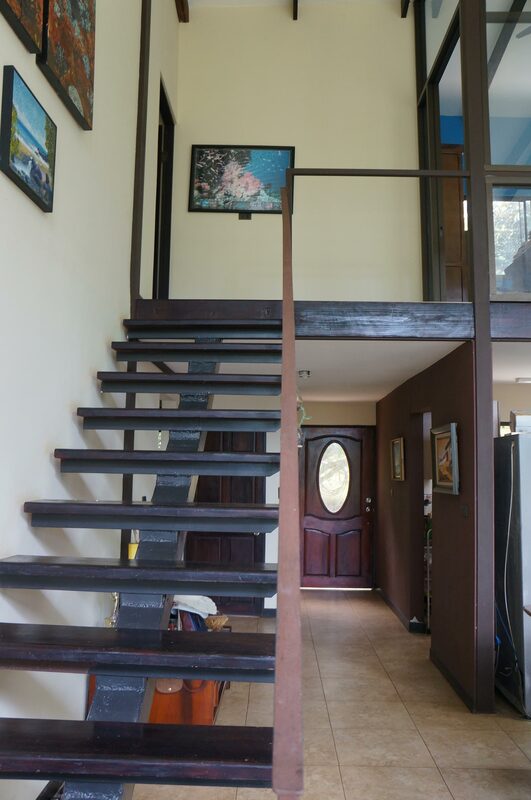 Upon climbing the stairs, you will find the master bedroom to the left with its own ensuite bathroom, a walk-in closet, and an ample office space to the right. 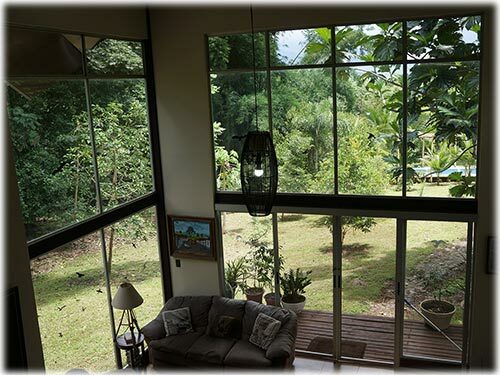 From the office, while you are working, you will have spectacular views of the whole property and the astonishing mountains. 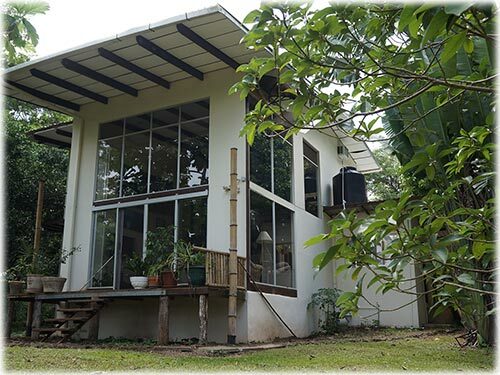 There is another more simple house in the property where there can be a used as an extra apartment, a maid’s quarters, or a space for the caretaker could live. 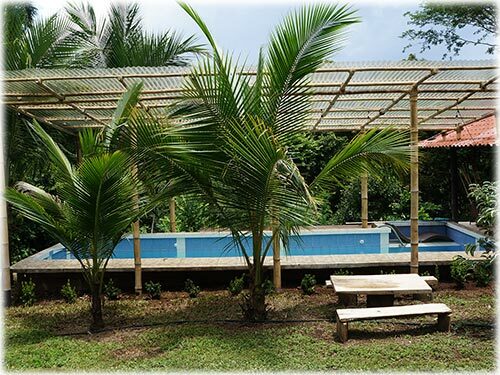 The pool is long and partially covered to swim and cool yourself during hot days. 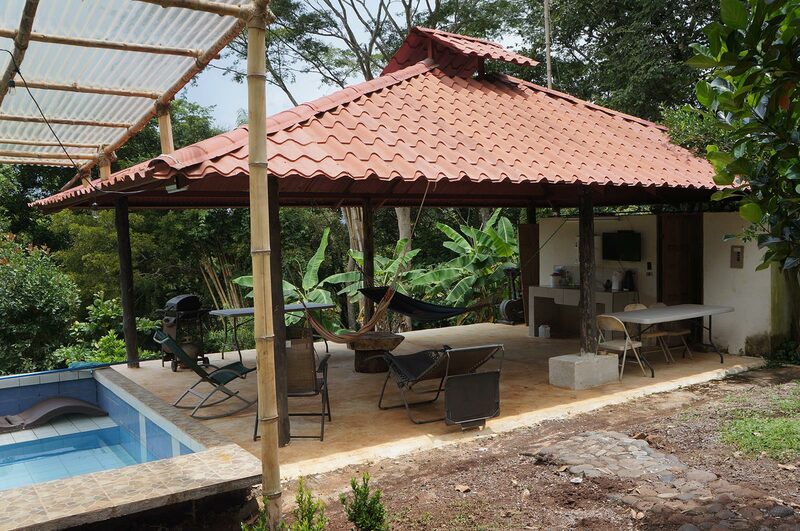 There is a gazebo with a bathroom and a dressing room beside the pool to entertain guests and have BBQ parties or just to relax by the pool. 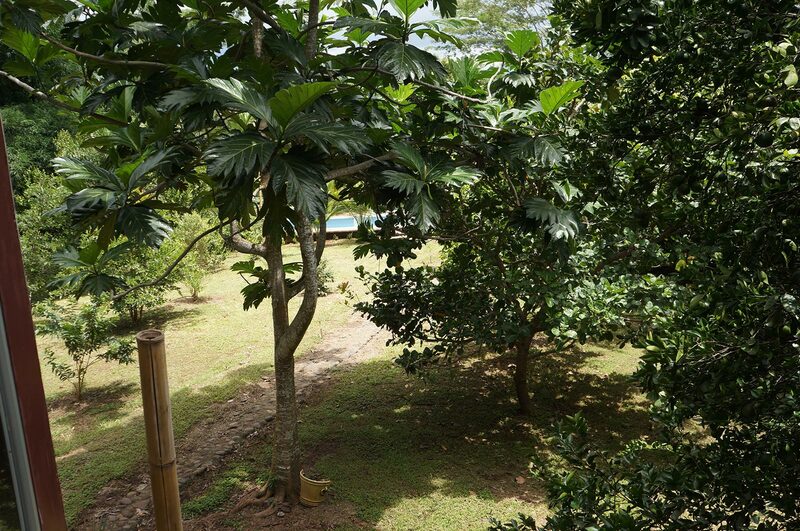 There is a river at the end of the property that constitutes the border of the property. 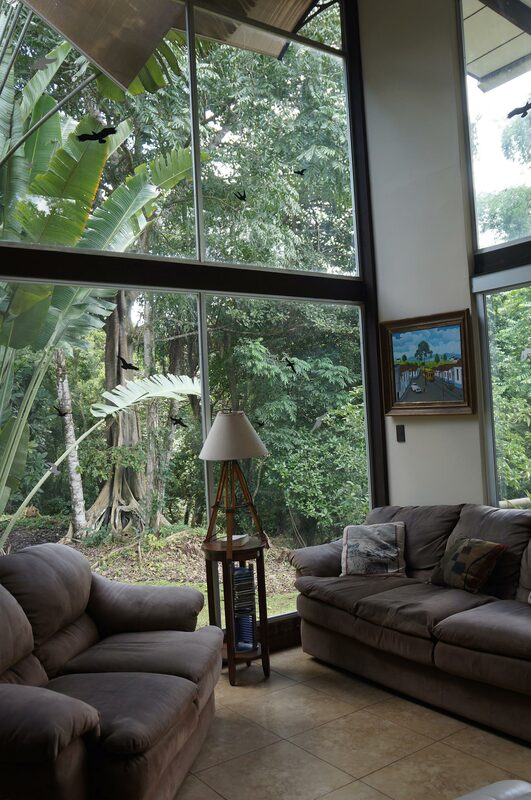 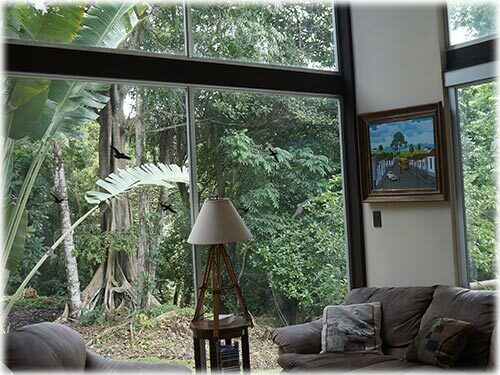 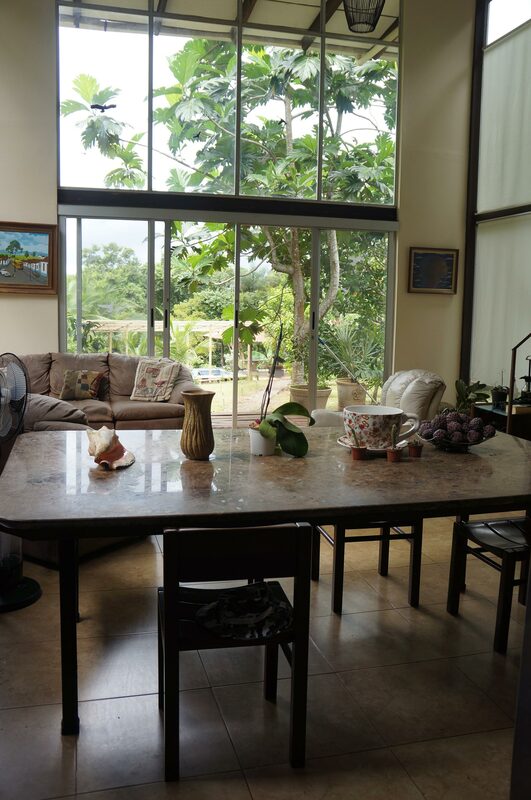 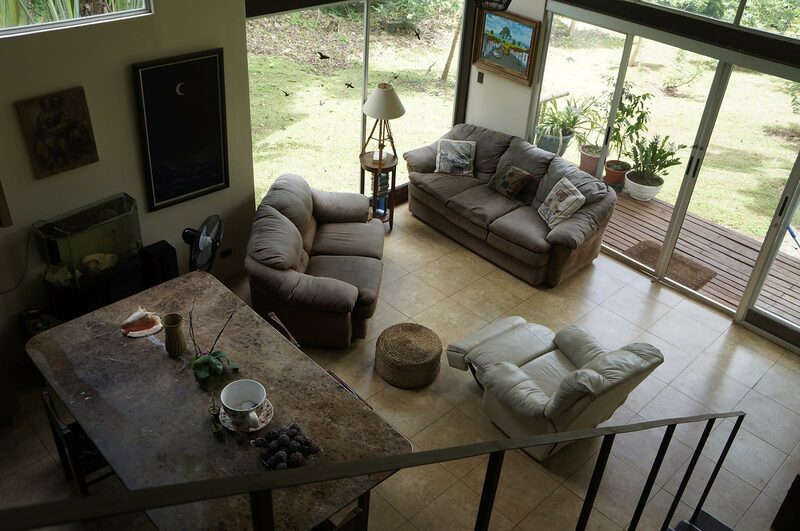 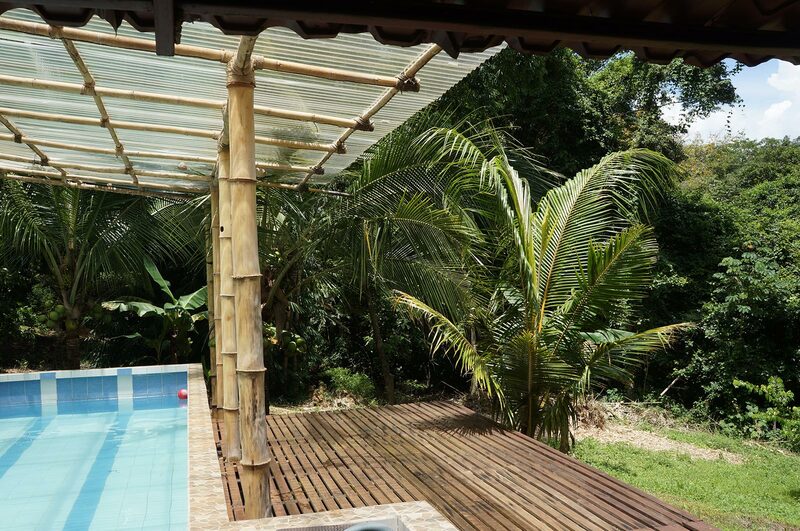 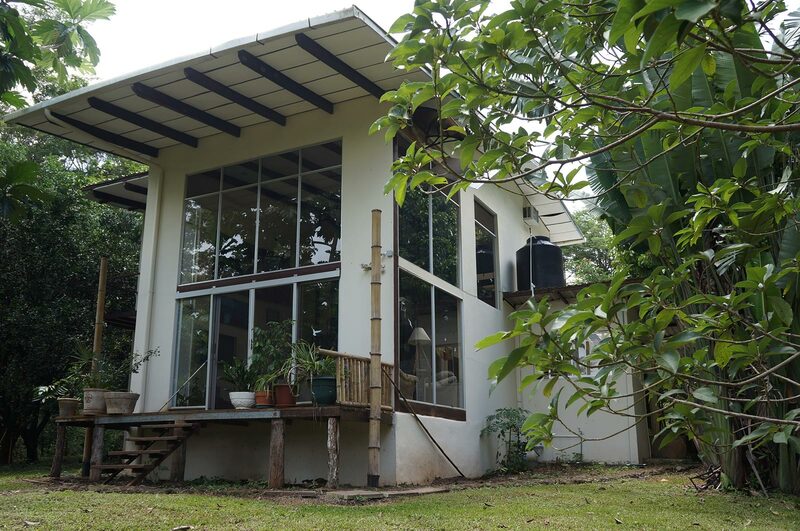 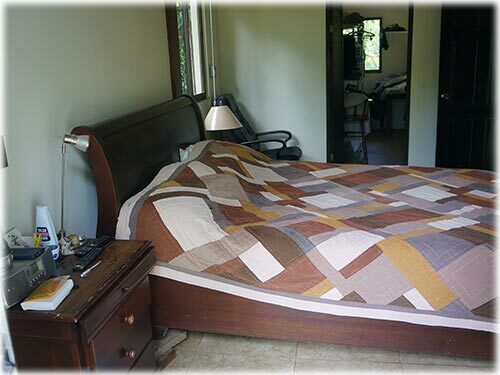 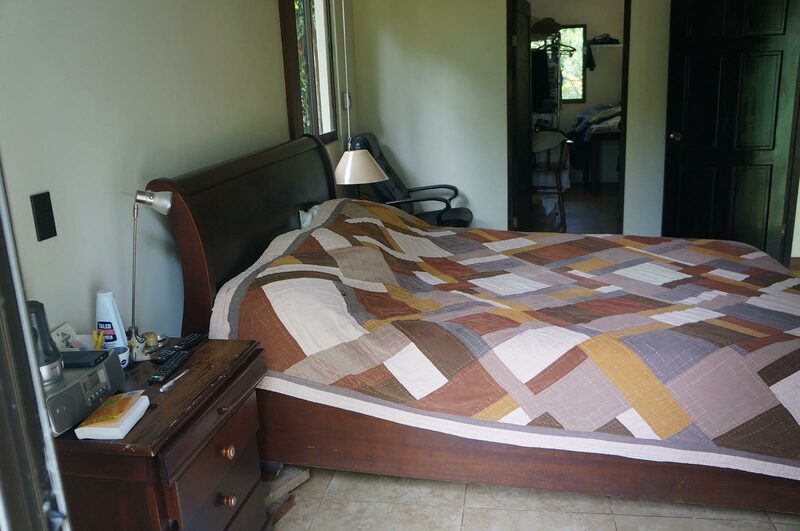 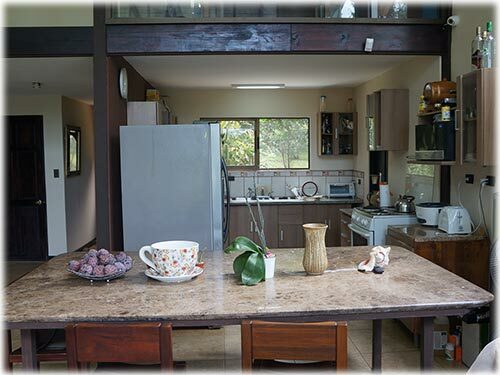 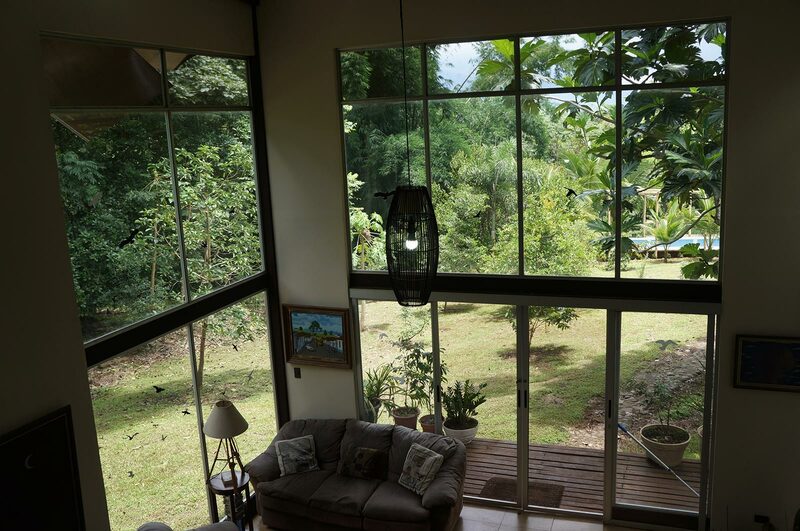 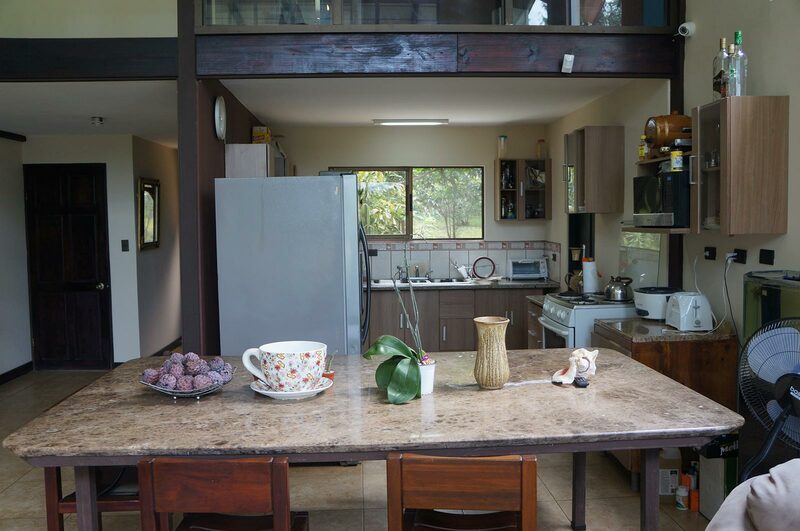 Inside the property, you will most likely see also some animals like different kinds of birds, macaws, monkeys, anteaters and you can even hear sometimes coyotes during the night.